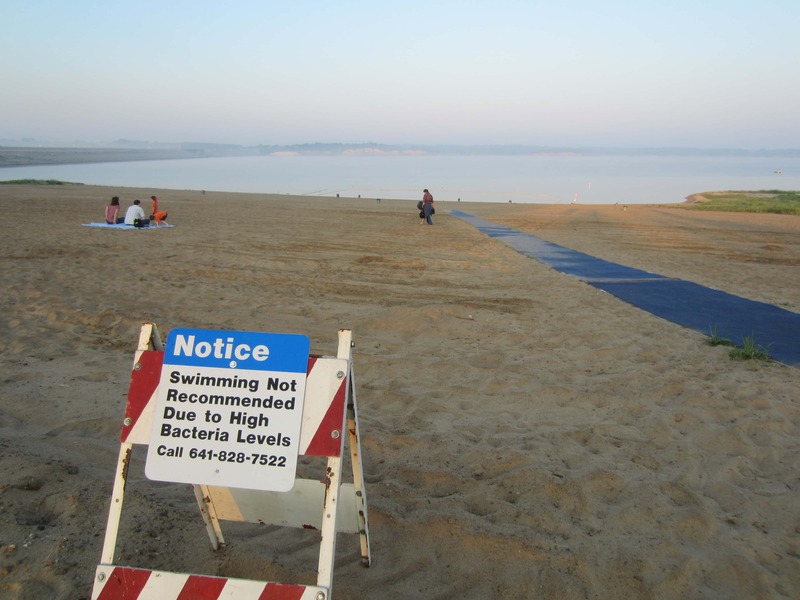 Swimming is not recommended at Whitebreast Beach at Lake Red Rock after a recent sampling has shown elevated bacterial counts. Due to the high readings, the beach will be posted with “Swimming Not Recommended” signs until further testing indicates low bacteria counts. While the test results showed high bacterial population at the Whitebreast beach, the North Overlook Beach and the main body of the lake had low bacterial counts. Further information on the Corps of Engineers water quality monitoring procedures may be obtained at the Red Rock Visitor Center.